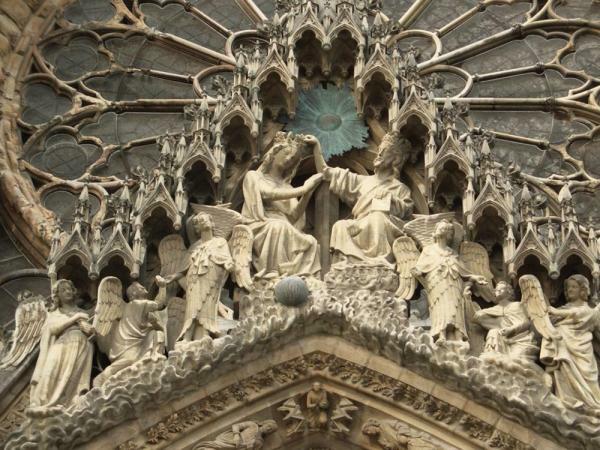 The anointing, regalia and holy ampulla – the coronation of the kings of France: a highly codified ceremony. 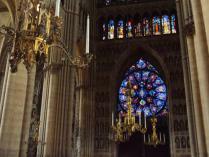 The smiling angel, the statue of Joan of Arc, Chagall’s stained glass windows – a collection of eclectic art, a cathedral museum. The wine cellars of the Champagne, the pride of the Reims patrimony. 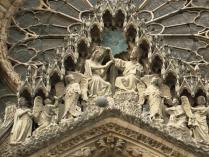 Built between 1211 and 1311 on the site where the Bishop of Reims (Saint Remi) was baptized in 496 AD, the Reims Cathedral quickly became the site of choice for the coronation and anointment of the French kings. 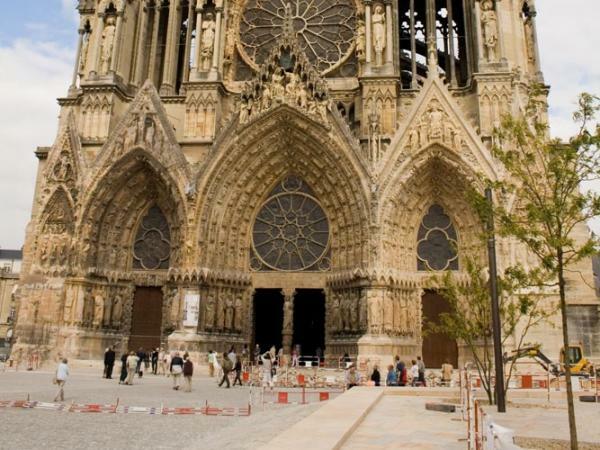 One of the largest cathedrals in France, it suffered extensive damage during bombings in WWI and was restored during the 1920s and 30s. 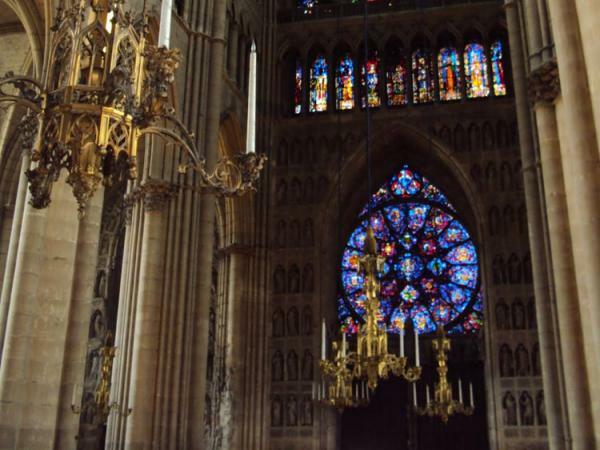 Today visitors to the cathedral can admire, among the many exquisite features, three stained-glass windows created by Marc Chagall. Escape for a day to Champagne. 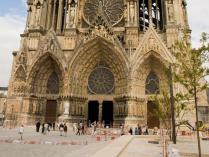 Discover with your guide the “city of coronation” and visit one of the most beautiful cathedrals in France. Plunge into the prestigious world of the most festive of wines. 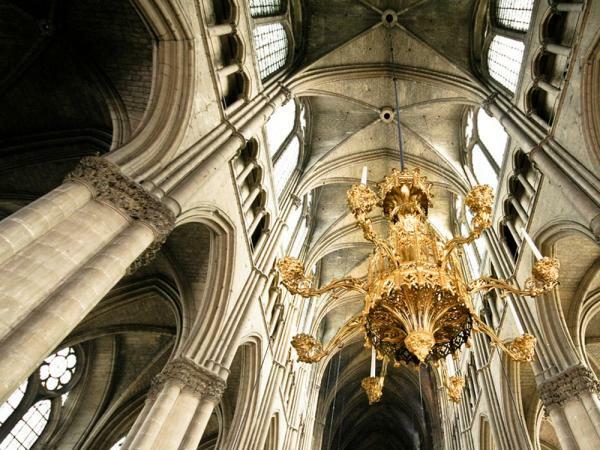 Explore a Gallo-Roman wine cellar dug into the limestone…where Champagne production secrets are revealed before your taste buds are titillated with a glass of this mythical concoction.